NO MATTER WHAT YOUR POLITICS, you’ve got to be pleased Justin Trudeau booted Jody Wilson-Raybould out of the Liberal caucus. If you’re a Liberal supporter, you’re happy the person who has been doing so much damage to the party and the prime minister is gone. If you’re a Conservative or New Democrat, you’re happy to get more mileage out of this never-ending drama. But, really, what else could Trudeau do after Wilson-Raybould released an audio tape of a phone conversation she had with then-Clerk of the Privy Council Michael Wernick. 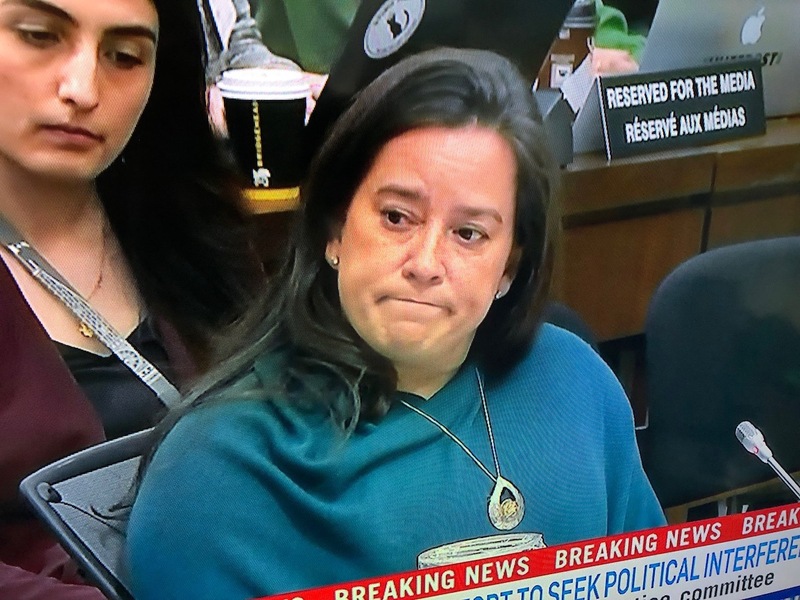 Though it revealed little new, the tape demonstrated a stupendous lack of propriety on Wilson-Raybould’s part. How could she possibly think she could remain in the Liberal caucus after a stunt like that? You’re right, of course this ouster wasn’t about JWR being a woman or a First Nations member. But this wasn’t about some tape either. This is about a PM trying to surgically remove the people who challenged him on the rule of justice, people who revealed a seedier side to Trudeaus’ business/politics dealings . For the most part, Trudeau and the liberal party have handled the scandal poorly, preferring to resort to political subterfuge rather than transparency . Now it’s purging elements of the party with any conscience left. How can this be construed as a win? A year from now…I am seriously worried. … and just what comments do you have for zero funding announcement for Indigenous arts in the just-announced NAC 2019 budget? Coincidence?.. or pay back. Have it any way you want. of the roles of Minister of Justice (political policy) and Attorney General (legislative implementation). Well, maybe, but how about the First Peoples, who the Liberals made such a central plank in their boat – are they happy? In any event, the tribe has spoken and they had no option but to pitch her from the inner sanctum. Never mind that the progressive boat is sinking in the water. As for Jane, once the knives start swinging they show little restraint. Blame it all on those two? I don’t think so. It all goes back to the PMO. This has been a shipwreck from the onset. Lot’s of what ifs in this sad story. Jody had the heart of the country by showing integrity during the initial stages of this whole mess. I’m not so sure she will be viewed in the same light now that people know she taped and made public the contents of the telephone call with the Clerk of the Privy Council. The NDP and Conservative parties might be wise to take a step back and consider the deeper implications of having her come on board. Does political corruption prove itself to be indifferent when it comes to whose lives and reputations are ruined? Personally, truth stands higher in my regard. Politics be damned.